The Church honors the memory of St. Clare of Assisi (1193/94-1253), liturgically, today. She is known as the first woman to join St. Francis and his companions in their new form of living the Gospel in a radical way. The early sisters of Clare lived simply and prayerfully at the Church of San Damiano for over 40 years, sustained by their own work. The her monastic Rule was finally approved by Pope Innocent IV shortly before her death in 1253. 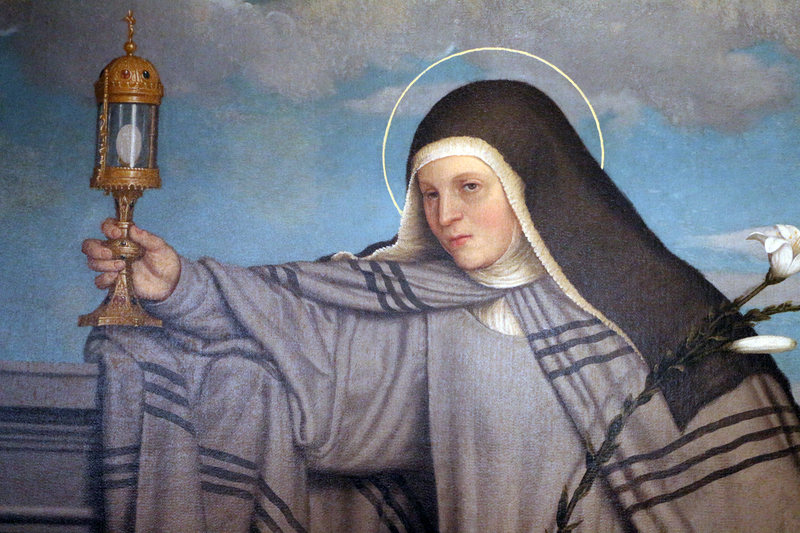 She was canonized two years later in 1255.